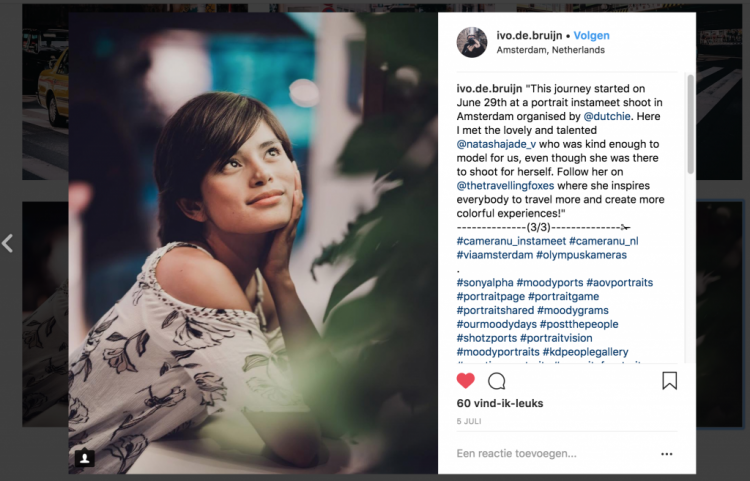 Instameet CameraNU x VIA – Dutchie. 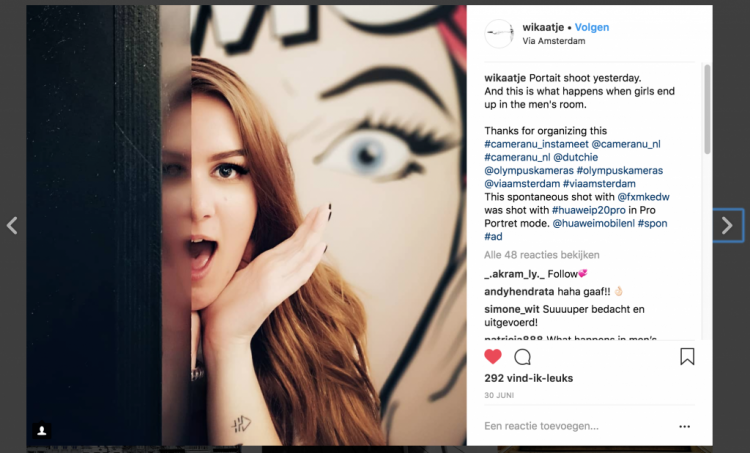 On Friday the 29th of July, together with ViaAmsterdam, CameraNU and Olympus we spend an awesome evening at the Via Ho(s)tel where we got to explore the the Ho(s)tel, play around with Olympus gear and use CameraNu studio set ups to shoot portraits. As always during Instameets we challenged everyone to be creative. Think outside the box. Challenge yourself. To do so there was Olympus gear to try out and shoot with, because nothing challenges me to play around and shoot with a camera that’s new to me. There was a studio setup with studio lights for portraits, an awesome 90’s looking ho(s)tel, a lot of free drinks, hamburgers, bites, and awesome prizes to be won. So personally I wouldn’t need any more motivation to go out and capture some awesome content to hopefully win one of the awesome prizes. Unfortunately I’m the one organising this event so for me there are no prizes to be won. During the evening the CameraNu crew helped everyone use and enjoy the studio light setups and get the best results while also educating everyone on what difference the light makes and how moving it around creates totally different results. Olympus brought along a whole lot of their cameras to try out, and man are those cameras looking good. Since the social part is highly important we ended the evening with food and drinks, during which we mostly put down our cameras and talked, laughed and had fun. It’s the perfect moment to share experiences and learn from each other. 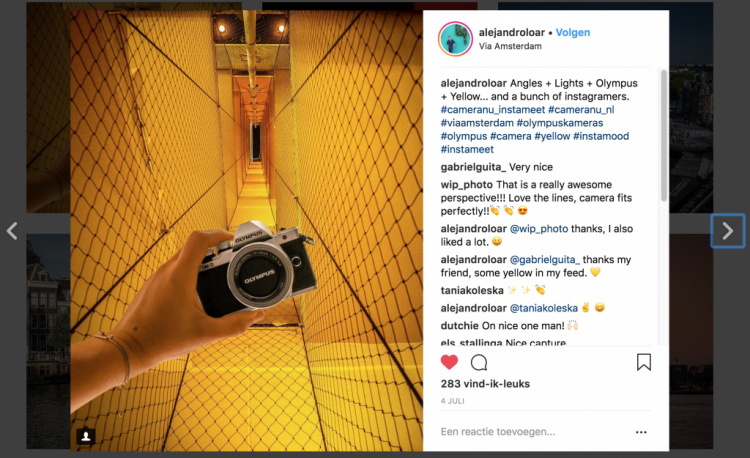 Get to know each other and build a network of creatives, who form a loyal follower base and many turn into friends who go shoot together often. The code: DUTCHIECAMNU10 will get you a 10% discount at CameraNU on a whole lot of items and include: bags, memorycards, flashes, tripods, alternative brand chargers, alternative brand batteries, alternative brand solar/lens caps, cleaning and protective products and filters.